Thinking about your next family vacation? While summer vacation has come and gone, did you know that the Parents Collection located inside the children's room has a plethora of family oriented travel books? It sure does! You no longer have to drag the kids all the way upstairs to look in the adult non-fiction collection (unless you really want to!) So if you're ready to plan your next family vaction or a weekend getaway, stop by the library to get a headstart on your next trip. We've got books for local adventures in Portland and Seattle, guides to Disneyland and Walt Disney World, major cities in the US, plus other US attractions. We also have a handful of books with steps on how to make your next family trip just a little bit more successful and how to travel with baby too! Welcome to another Meet the Collection Monday! Today I'm highlighting the Juvenile and Young Adult Reference collections. The juvenile reference collection is located on the shelves to the right and left of the Children's Reference Desk, and the young adult collection is behind and to the left of the Young Adult Desk on the second floor of the library. These are books you can use while in the library, but you cannot check them out and take them home. You get to browse through them, photocopy them, and leave them for someone else to peruse. The books in the reference collection are often the starting point of research projects for kids of all ages, therefore we stock the most current and relevant books possible. 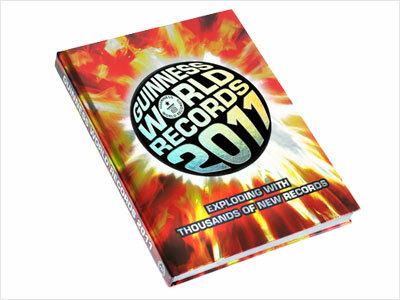 Some of the most popular books in the collections include the World Book Encyclopedias and Guinness World Records. Kids love to browse these books! There are also some fantastic resources in the juvenile collection for local and state reports, including The Portland Bridge Book and Tigardville: A History of Tigard. Students working on science fair projects will find our Junior Science Experiments On File endlessly useful, as well as our other science-related encyclopedias. And there's always Experiment Central in the young adult collection for the more advanced scientist. Explore the reference collections to learn about eras in history from the middle ages to the beatniks. Look up words in dictionaries or expand your vocabulary with thesauruses (Thesaurusi? Thesaurus Rex?) From world culture to literary movements, the potential for learning is endless! Could your child use a helping paw with reading? Did you know that reading aloud to a dog creates a relaxed, non-judgmental environment to help children develop their reading skills and build confidence? It sure does! We've got lots of kids who practice their reading every Wednesday night to a certified therapy dog here a the library who have all gone on to be successful readers. And it's all thanks to our program called "Dogs and Tales". This is the perfect solution for any beginning reader up through 5th grade who needs an "extra boost" with their reading. Registration is required for a 20-minute reading time slot. Once a child has completed five reading visits with the program, they get to pick out a book to keep of their very own! Please call the children's desk today to register (we register up to two weeks at time) at 503-718-2656. 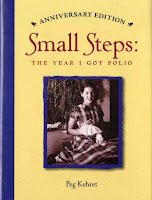 One of the collections I am responsible for is Juvenile Biographies. 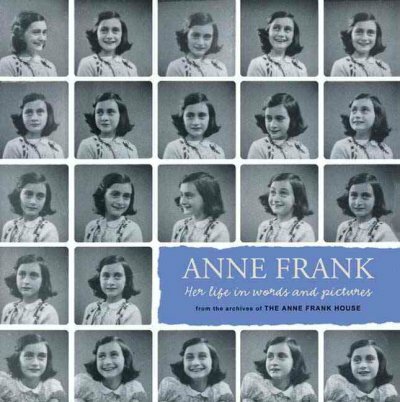 This collection is comprised of biographies and autobiographies. Kids and adults often confuse the two. Both are true stories about the lives of people. An autobiography is the author's own story. A biography is written by somebody else. There is a range of reading levels from easy picture books to fairly in-depth chapter books. Topics include contemporary and historical US and world figures and leaders, authors, artists, athletes, entertainers, and pop culture icons. 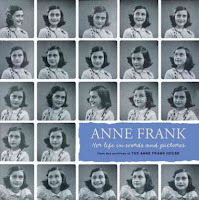 I try to have a broad selection of biographies that kids can read just for enjoyment as well as a good range of books they can use for school assignments. Assignments often require kids to check out non-fiction books; if they are like me, they may not like reading books that aren't stories. Biographies are a great option for fulfilling class requirements but also keeping kids interested. 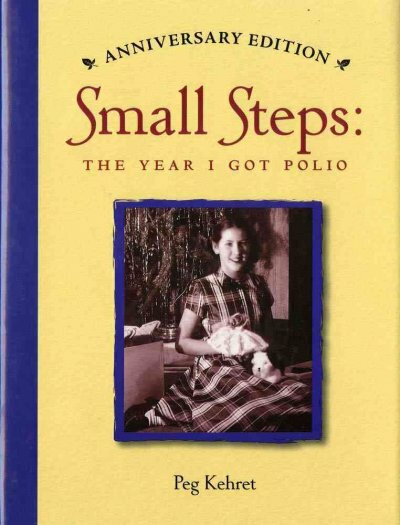 Another couple of favorites are Menno Metselaar's Anne Frank: Her Life in Words and Pictures from the Archives of the Anne Frank House, and Peg Kehret's Small Steps: The Year I Got Polio. Kehret's memoir is the single most commonly requested biography in the collection. Kids LO VE it. Remember Reading Rainbow? I do. And I still mourn its loss. 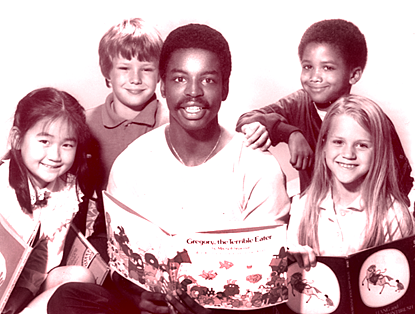 For 25 years LeVar Burton and his League of Extraordinary Children shared children's books every day on public television. They made recommendations, they narrated stories with clever animation, and LeVar traveled around the world to locations relevant to the daily theme. Basically, LeVar had the best job in the world (next to being a children's librarian) and I guess he's missed it because he's making plans to bring Reading Rainbow into the 21st century! He's launching a website (still under construction), and he's announced the development of an iPad app that will allow kids to explore topics of interest, with videos (some familiar and some new) of LeVar visiting relevant locations. And, of course, through the app he'll be sharing books. So, all you iPad users make sure to keep your eye out for the new app. You can say it's for your kiddos, but if you're like me, you may just want to get lost in the rainbow yourself. Don't forget to sign up to visit the OMSI Planetarium this coming Sunday, Septemer 18th. OMSI will have their portable planetarium set up in the Community Room. Kids, teens and parents can enter this world of stars and planets through a 30 minute guided tour. Guided tours are scheduled every 45 minutes. Space is limited and registration is required. Stop by or call the children's desk at 503-718-2656 to register. Welcome to Meet the Collection Mondays! Every Monday from now through winter, librarians and staff from the youth services department will discuss each one of the collections they are responsible at the library. We feel this series of posts will be a great way for everyone to know more about the children's and young adult collections and the special care that is given to each one. Today we will begin with the Early Reader Collection. The Early Reader Collection is comprised of books for children who are learning to read. The collection consists of books with limited and/or repetitive vocabulary and larger print size, specifically designed for beginning readers. These books contain anywhere from one word to several simple sentences per page. Books can be individual stand-alone titles or are part of a series. The collection also contains a number of sets focusing on each letter of the alphabet, plus many sets that help readers develop and proactice their phonics. Many people ask if the collection is organized by reading level. Unfortunately, we can not accomodate this request as there are so many ways of interpreting this, due to the fact there are numerous leveled reading programs. However, many of the books are rated by the publisher's own intepretation of a reading level, so parents are encouraged to use this as a way in deciding which reading level is best for their child. We do keep the collection in order by the author's last name, or if it is a series by multiple authors we will shelve it by the name of the series. The Early Reader Collection is housed beween the Juvenile Spanish and Juvenile Non-Fiction Collections. You can spot these books by the green labels on the spines with the letter "E", which represents the term, "Early Reader". Here are some of my favorite Early Reader Books from my childhood: The Frog and Toad Series, Amelia Bedelia Series, Big Dog Little Dog, Bears on Wheels, I Wish I Had Duck Feet, The Eye Book, and One Fish, Two Fish, Red Fish, Blue Fish. Sunday, September 11, Library Community Room, 2 p.m. Enjoy music, cake, history and more as we mark a milestone in the city's growth. Swing into Tigard's 50th birthday with the Woody Hite Big Band. It may be the city's birthday, but we're giving YOU a present, courtesy of the Friends of the Tigard Library. If you're a library cardholder, you can pick up a complimentary copy of the book The Right Stuff by Tom Wolfe and the children's books at the party, while supplies last. To get the most out of Tigard Reads, consider participating in a book group discussion and attending our many free space-related events throughout the month. Check out the Tigard Reads Blog, Library website, or stop by the library for a flier of all of the events. Why should your kids get to have all the fun? I've posted before about the utter fabulousness of Young Adult fiction and why grown-ups like us love it too. Well, now you can discover and/or share a love for these books with our new book discussion group: Forever YA. Folks aged 16 and up are invited to read The Knife of Never Letting Go by Patrick Ness and join us for a book discussion on Wednesday, October 19 from 7-8 p.m. in the Houghton Room. In this award-winning dystopian story, young Todd Hewitt is trying to survive on a colonized planet where all boys become men at 13. Because of a virus, men can hear each other's thoughts. And there is never, ever any silence. Todd enjoys the relative quiet of the swamp, but even there he must be careful to avoid mind-reading alligators and the natives of the planet, though they were were supposedly wiped out. This creepy, suspenseful book will thrill up your October. There's no need to register for the book group. Just check out a copy of the book, and we'll see you at the discussion. 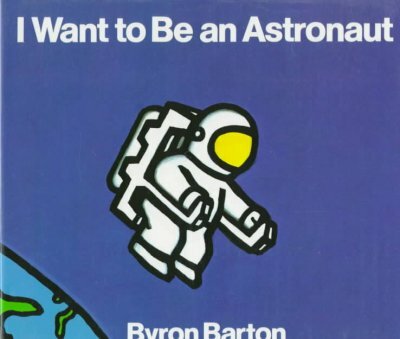 In the spirit of this year's Tigard Reads theme, here are a few outer space picture books to share with your family. 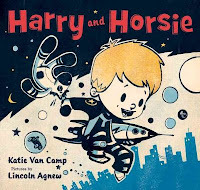 Harry and Horsie by Katie Van Camp. In a nighttime adventure, Harry's room begins to fill with bubbles and carry things up to outer space. Can Harry find his Horsie up there? 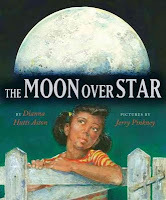 Moon Over Star by Dianna Aston. It's 1969 and Apollo 11 is headed for the moon. 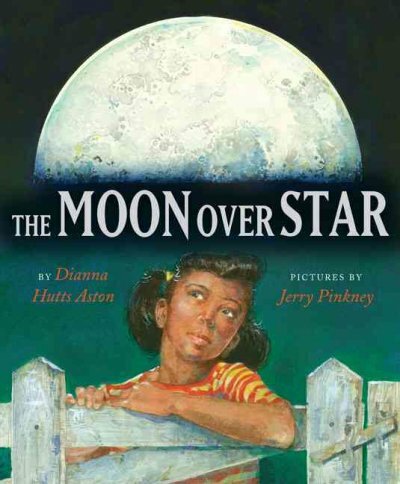 Young Mae follows this historical event from her family's farm and hopes to one day be an astronaut herself. 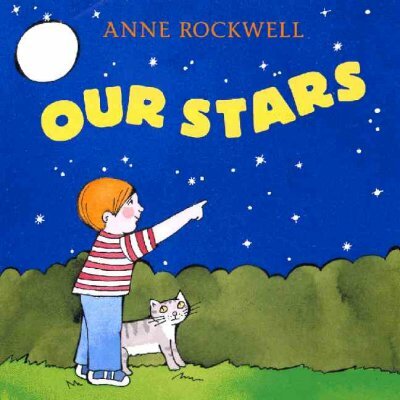 Our Stars by Anne Rockwell. In Rockwell's classic simple style, she introduces youngsters to stars, planets, and all things outer space. 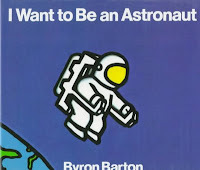 I Want to Be an Astronaut by Byron Barton. Great for your youngest space enthusiast, this simple picture book looks at humans exploring outer space. Jimmy Zangwow's Out-of-this-World, Moon Pie Adventure by Tony DiTerlizzi. 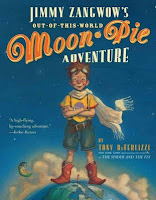 When Jimmy's mother won't let him have a moon pie, he sets off for the moon to get his own. Sunday, September 18, OMSI is bringing their portable planetarium to the Tigard Library. Families can sign up for a 30 minute tour of outer space. Just stop by the Children's Desk or call 503-718-2656 to register. It's all part of our Tigard Reads celebration. Click here for a full list of programs.